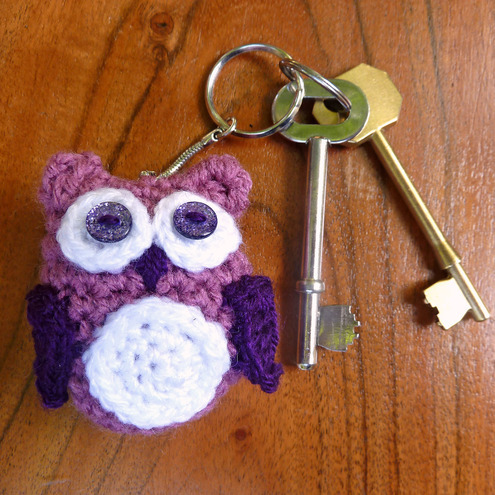 Folksy :: Buy "Owl crochet keyring"
This cute owl keyring is hand crocheted in pink with white and purple features and sparkly purple button eyes. It has a silver plated keychain securely attached at the top and is lightly stuffed. This keyring would make a lovely gift for a loved one or perhaps youâ€™d like to treat yourself. It would look great carrying your keys or perhaps youâ€™d prefer to attach it to a bag. Folksy :: Buy "Purple owl crochet phone case"